For the past 21 years, our high-energy school and professional instructors have helped students of all ages develop important life skills, including: confidence, self-control, self-discipline, leadership, and focus. With our full-time staff of 12 state-certified Black Belt instructors, we offer the best student/instructor ratio in the Midwest! We currently have 45 active Black Belts training in our school, who are ready to share their knowledge and experience with all our students! 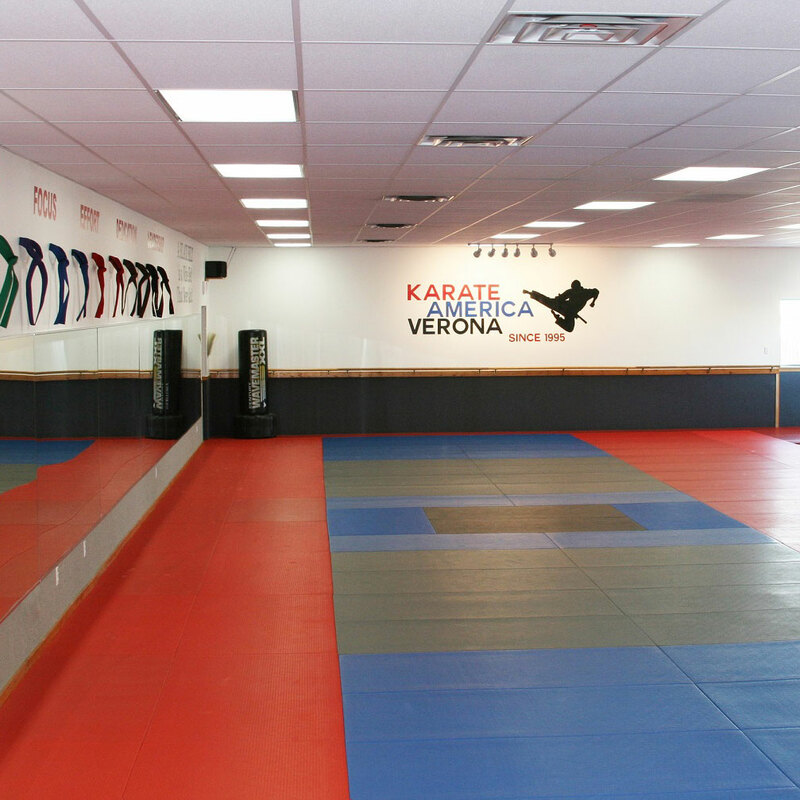 Whether your goal is to achieve better grades in school, gain self-control, increase fitness or engage in competition, Karate America Verona is ready to help you achieve success!